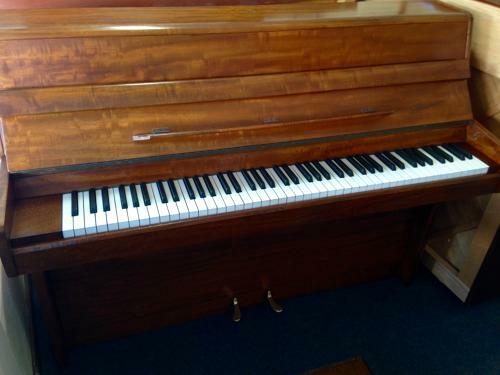 A 1972 modern classic English piano by a well known piano maker. Danemann were famous for supplying all the schools in the 1970's. I particulary like Danemanns for their deep bass tone and touch. This particular model comes in a figured mahogany case. Danemann factory closed in 1980, this is one of the youngest models I have seen.